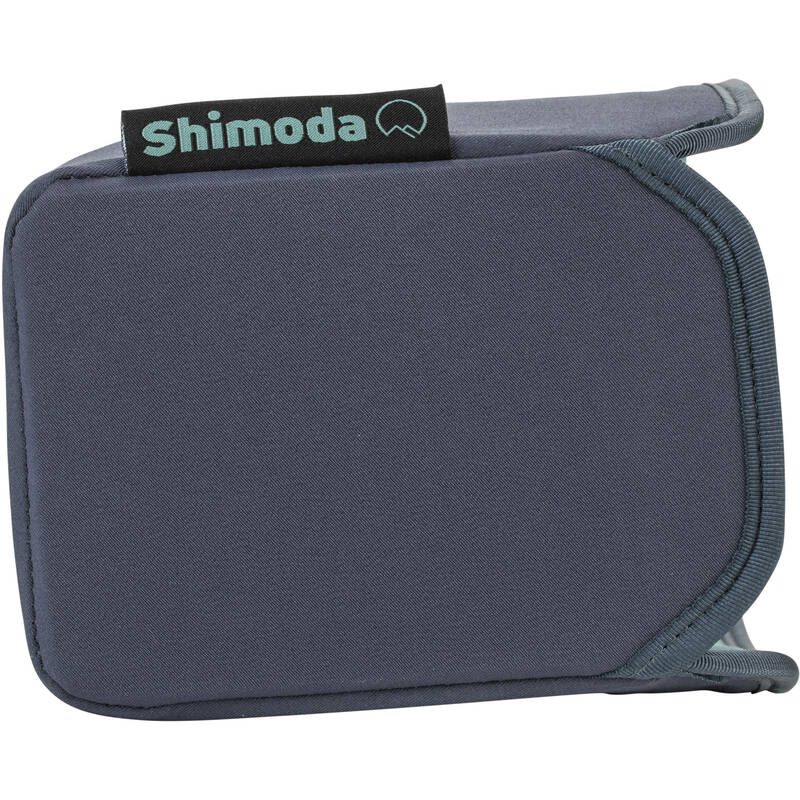 Store, transport, and protect your DSLR or mirrorless camera, and up to two lenses or a 70-200mm f/2.8 zoom, and related accessories with the small Parisian nights Shimoda Designs Core Unit Insert. The insert features EVA padded walls, touch-fastening dividers, and a removable zippered skin covering for dust protection. Carry the insert with the adjustable shoulder strap, or place inside a larger bag, pack, or roller. Box Dimensions (LxWxH) 11.5 x 6.0 x 5.5"
Core Unit Insert (Small, Parisian Nights) is rated 3.3 out of 5 by 4. Rated 5 out of 5 by Marc from Excellent product! Ive read some very critical reviews on this insert and I agree with none of them. Im used to f-stop products and I own two of their ICUs, serving the same purpose. BTW, the Shimoda fits perfectly in an f-stop bag like mine. It also fits perfectly in a couple of my non-photo backpacks, which I sometimes prefer to use for a light solution either on hiking or touring a city as a tourist. This insert can easily protect very adequately 4 to 5 lenses (Sony E-mount) at the bottom of those non-photo backpacks. Well manufactured & light. Better quality than f-stop ICUs - thinner yet sturdier walls and separations - and thinner does not mean less protection. Rated 2 out of 5 by Todd from Not What I'd Hoped I've read rave reviews about the comfort of Shimoda's backpacks, and I see no reason to doubt them; it seems that their harnesses and a couple other noteworthy features deserve accolades. Before purchasing one of these inserts, however, please see the reviews of the medium core unit by Shimoda as well; I don't see them as being on the same high level as the packs themselves. This insert does not allow for much customization in layout, and seems to provide less padding than a typical insert with softer padding (such as inserts from F-Stop Gear and others). The impression is that the padding is quite robust, but, because of its density, not particularly cushioned. High-frequency vibrations such as those encountered in airplanes and road vehicles seem to be transmitted to the enclosed equipment, whereas thicker padding seems far likelier to dampen those vibrations. In addition, as some other reviewers have stated, even wide lenses with a 77 mm filter size don't fit particularly well into the individual lens bays, and an inordinate amount of customization is needed to compensate for this--customization that may not be possible without ordering additional dividers for the unit or supplying your own ones cannibalized from other systems. Sadly, after purchasing this, it generally doesn't see use. I instead resort to utilizing one or more from F-Stop Gear that suit my purposes better. Were it not for the fact that my Shimoda unit clearly shows signs of my use, I would have sought to return it. Full Disclosure: I used this insert inside an F-Stop Sukha bag (hoping in the future to purchase a Shimoda bag, which still is part of my plan), and it fit fine. The issue was not at all how the insert fits into a bag that it wasn't intended for, but rather the design and padding of the insert itself. Rated 1 out of 5 by craig from Todd nailed this review The other guy Todd totally nailed the review. Please read his as it's everything I would like to communicate about this small ICU as well as the medium shimoda insert. I would like to add that this small insert is even worse than the medium as far as functionality. The dimensions make no sense as it's too big for even a full frame dslr, yet too small for dividing something smaller like an APSC or mirrorless camera. I don't know what this small insert was even made for. It will in fact, hold a mavic drone with the remote carelessly laid on top. I don't carry my drone always and it also doesn't do a great job at it so I have to say this is a worthless piece in my collection of worthless ICUs by Shimoda. Get an FStop ICU instead. The dimensions will fit inside this bag. Ideally the medium pro FStop icu will fit in here with room for a few articles of clothing above it. I believe the large pro FStop will also fit, but will not leave any extra space in the main top compartment. Any of these will offer superior protection, configuration and fitment to your gear. Do not waste your money with this. Rated 5 out of 5 by Rogerio from Great product! Im happy with this product so far. Nice colours, great materials and general build quality. It has enough space for my A7III, two lenses (Zeiss 85mm and Zeiss 16-35), two batteries and some cables. The external cover seems to be water resistant, but I didnt test it in a heavy rain.